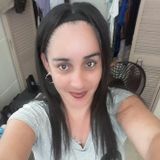 I'm 34 years of age, 5'4 in hight and I'm dark skinned, lives in St.Thomas virgin islands and I have transportation to any job site.I'm 34 years of age, 5'4 in hight and I'm dark skinned, lives in St.Thomas virgin islands and I have transportation to any job site.I'm 34 years of age, 5'4 in hight and I'm dark skinned, lives in St.Thomas virgin islands and I have transportation to any job site. Searching for Office or House Cleaning somewhere in Virgin Islands? You’ve come to the right place! Housekeeper.com Virgin Islands housekeeping service is the most reliable source for finding a housekeeper, maid, or cleaning lady in Virgin Islands. Whether you need commercial, office, residential, condo or apartment cleaning avoid the expensive agencies - use Housekeeper.com to find a qualified cleaner in Virgin Islands.